I can’t believe i’m doing this again…it’s been years. I’m going to kick myself in a few days for even mentioning it, BUT i’m putting my scrooge hat away and vowing to blog all things Holiday Decor for 15 days straight. Here we go. Who says Christmas decor has to be red and green? Definitely not me…I have always been a fan of bringing one of the colors out and accenting with other holiday-ish colors, but never just red and green. Here’s a great example…green, white, and black. Naturally, the first holiday blog post MUST match the new Style by Design color scheme!! 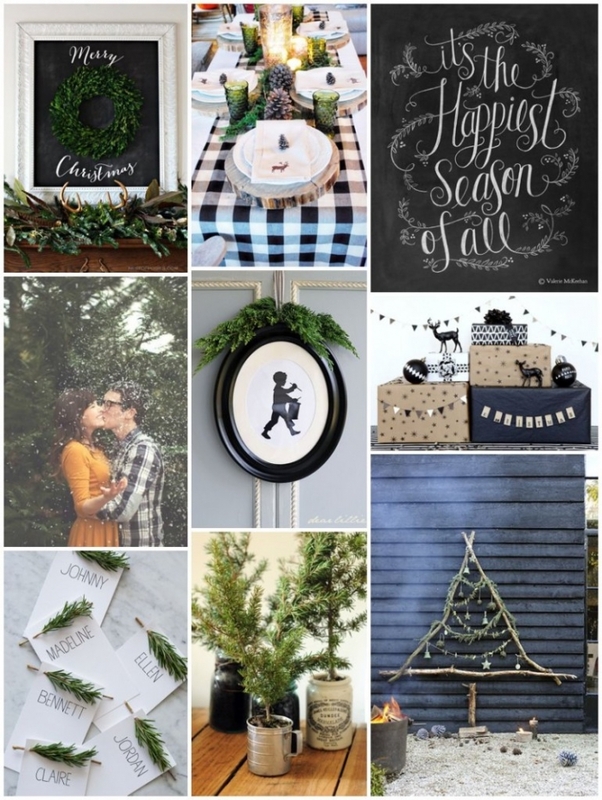 You can use gingham patterns, chalkboards, and natural elements (which are all very “in” right now) to create a festive atmosphere without going all Mrs. Clause on your house. Have you done something similar in your home? Send me a picture and it might get featured!